The International Air-Conditioning, Heating, Refrigerator Exposition (AHR Expo) is the event of the year for the HVACR industry, and at AHR 2018, Samsung Electronics is set to captivate attendees with introduction of its full Wind-Free™ cooling system line-up including the industry innovative 4Way Cassette. Samsung will also introduce expansions to its Max Heat™ series, which made waves last year, as a solution providing high heating capacity with 100% efficiency, and designed specifically for cold regions. 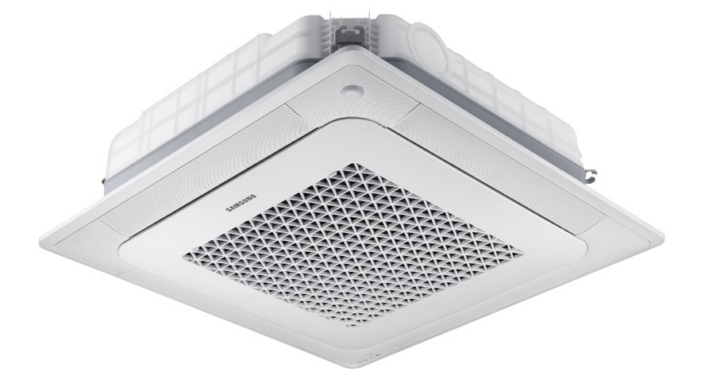 At its booth at the AHR 2018 Expo, Samsung will provide visitors with a special Wind-Free™ unit* experience demonstration, which highlights how the advanced cooling technology creates still air to cool a space, and utilizes thousands of micro holes to gently disperse cold air. The engaging experience will allow visitors to feel the difference between standard cooling technology and Wind-Free™ advanced cooling technology. Samsung will also highlight its full line of Wind-Free™ units for residential and commercial applications, in particular 4Way Cassette. 4Way Cassette, which will be exhibited for the first time, has a blade up to 31% larger than conventional products and a widening swing angle of 10°, which can deliver wind up to 5m – around double that of conventional products. In addition, 4Way Cassette is equipped with a motion detection sensor (MDS) to detect the position of the person and automatically adjust the direction of the wind, but also is able to be utilized even in the absence of a person. Samsung will also showcase expansions to current product lines such as the Max Heat™ series and DVM S Eco which support advanced heating performance and efficiency at -13°F. All Max Heat™ series were certified by the US Environmental Protection Agency as ‘Energy Star’ and boast excellent energy efficiency. In addition to these innovations, Samsung’s booth will also feature Samsung’s series of new fresh air systems, Fresh Access™, -40° low ambient cooling systems, dedicated outdoor air systems, energy recovery ventilation systems, along with notable products such as the 360 Cassette, DVM Chiller, and Hospitality Management Solutions (HMS). Visit the Samsung booth (no. 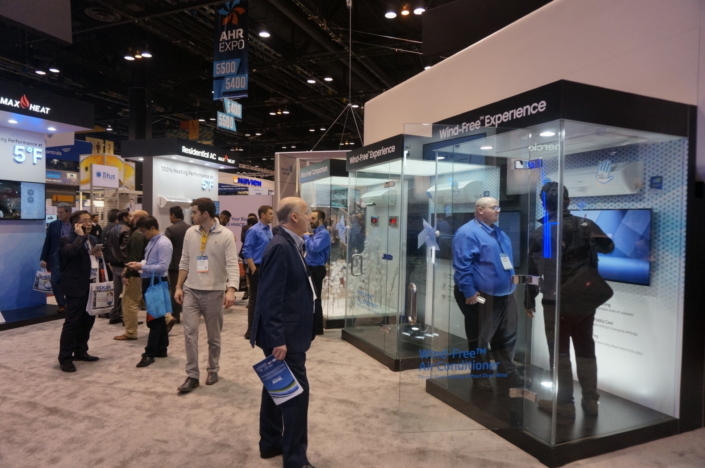 5369) at the 2018 AHR Expo at McCormick Place in Chicago, Illinois, from January 22-24, 2018, to discuss and experience the latest in innovative HVAC systems, controls, and mobile support. For more information about Samsung HVAC America, please visit: www.samsunghvac.om. *The Wind-Free™ unit delivers an air current that is under 0.15 m/s while in Wind-Free™ mode. Air velocity that is below 0.15 m/s is considered “still air” as defined by the ASHRAE (American Society of Heating, Refrigerating, and Air-Conditioning Engineers).